Saturday, November 10 from 10 to 4 at Kool and Child. Join us for Neighbourhood Toy Store Day – a celebration of independent toy stores! We will have demos and crafts set up throughout the store. Don’t miss the great toy give-away – enter your name in-store for a chance to win one of 25 toys from Playmobil, Melissa and Doug, Corolle dolls, Learning Resources and more! 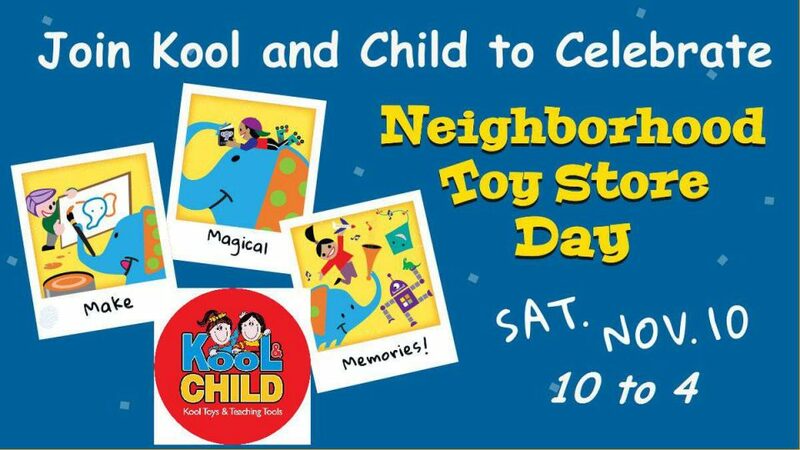 Celebrate Neighbourhood Toy Store Day at Kool and Child! Sat, Nov 10. Games! Crafts! Demos! The Great Toy Draw! In-Store from 10 to 4.